Forage fish tipping points: Forage fish species, such as Pacific herring, are vital links in marine food webs and people’s ocean-based ways of life, and are vulnerable to overfishing and other threats. 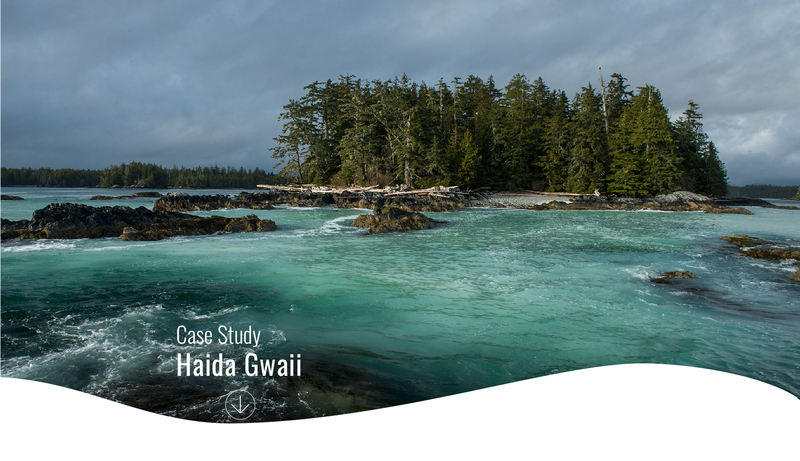 Herring in Haida Gwaii: In the NE Pacific, Pacific Herring have crossed a tipping point, resulting in fisheries closures and potential consequences for seabirds and marine mammals, and tensions around herring management. Drivers and feedbacks: Climate and overfishing led to declines in herring. Ecosystem reassembly: Recovery of predators may be slowing recovery. Sociocultural values: Social science research can help identify social-ecological thresholds of sustainability for marine management and set appropriate social-ecological targets for herring recovery. Adult vs. egg harvest: Using a tipping points lens to evaluate tradeoffs helps managers identify the safe operating space for decisions based on interacting ecological, social and economic risks. Ecosystem indicators: Indicators that provide early warning of change can help managers avoid crossing tipping points or monitor progress of restoration efforts in systems that have already crossed tipping points. Analyzing future scenarios: Scenario analysis helps identify the ecological, sociocultural, and economic outcomes of different fisheries management actions and assess people's preferences.